The book was amazing! I love the way Cassandra writes and I love Magnus's personality. The book has hilarious scenes and quotes. It also has references to her other novels (such as The Infernal Devices and The Mortal Instruments) that make me fangirl even more! 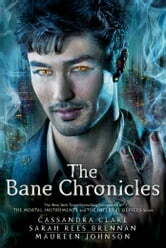 Lovers of Mr Bane will not be disappointed in this book! They will however end the book only wanting more Bane! The storyline Mr. Bane and Mr. Lightwood simply must continue. This storyline has helped my son and our family a great deal and its continuation can only help countless other teens and their families. The book was amazing, it really gives depth to Mangus's sparkly personality, anyosne who loves Cassandra's works MUST READ! I also adore Maureen and Sarah's works, I would never have found out about them if it wasnt for The Bane Chronicles. It just leaves you wanting more magnus! 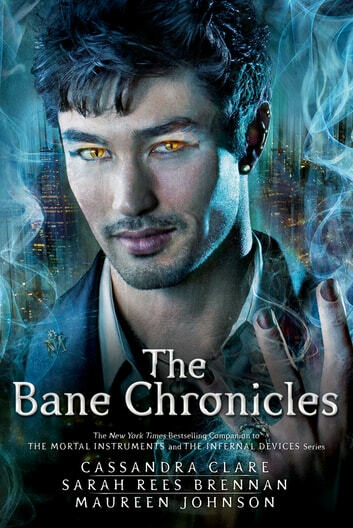 (especially malec shippers heh) I adorw all of Cassanda's works, especially The Bane Chronicles! A MUST READ! The writing team did well explaining Magnus. I always thought he was an intriguing character, now I know why.